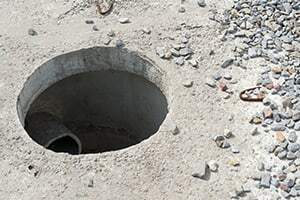 Confined space accidents are a serious problem in the United States that affect construction workers and maintenance crews nationwide. Many occupations are dangerous where workers are required to perform their duties under hazardous conditions including in tight confined spaces. Confined area fatalities and injuries often involve electrocution, exposure to radiation, toxins and fumes along with burns from extreme temperatures and explosive gases and liquids. Many deaths that occur in confined spaces will involve a secondary fatality where the rescuer also dies. In many of these situations, the rescue was attempted to extract the worker by others not wearing PPE (personal protective equipment) or before the confined area had been tested for safety. These areas are often flammable, have significant physical barriers, limited area for ingress and egress movement or susceptible to product instability or hazardous energy. Any area where a hazardous atmosphere exists or potentially could exist. Areas where material could engulf the worker while in the confined space. Where the configuration of the confined area could asphyxiate or trap the worker. Areas with physical components that could crush, cut or shock the worker. Areas with any recognized health or safety hazard or danger they could impair the worker’s ability to exit the space without assistance. Any area posing immediate danger to the health or life of the worker. Ensure that the confined space remains locked or sealed to prevent any unauthorized entry. Post warning signs at the entry of the confined space. Develop, implement and follow a confined space plan outlining the procedures, practices and means used by employees that have authorization to enter the area. Ensure that every worker has all the necessary information and documentation concerning any hazard, equipment or dangerous substance use or found within the confined area. Provide quick access to rescue equipment to every rescuer entering the confined area. Any individual suffering extensive injuries because of a violation of safety standards should seek legal representation through an experienced attorney who handles confined area accident cases. Confined area accidents happen to construction workers and maintenance crews who often suffer catastrophic injuries and fatalities that could have been avoided. Critically injured victims usually require lifelong health care and compensation to pay medical bills, hospitalization expenses, loss of income and intangible damages including pain, stress, anxiety and suffering. However, these types of cases are complex to litigate and resolve. Because of that, victims and surviving family members of a loved one lost in a confined space accident will hire an attorney to seek financial compensation from all parties at fault. Rosenfeld Injury Lawyers LLC at (888) 424-5757 specialize in personal injury cases and wrongful death lawsuits concerning confined area accidents. Our attorneys accept these cases on contingency to avoid the need of paying upfront fees. We serve as your aggressive advocate by gathering evidence, investigating the scene of the accident, speaking to eyewitnesses and hiring experts to present the case to a claims adjuster for an out-of-court settlement or jury award at trial.